Eschatology: The Oxford English Dictionary defines it as theological 'science' concerned with the last 4 things: death, judgement, heaven and hell (The End of the World). But this is seen not just in the west, not just in Judeo-Christian culture (Books of Isaiah, Daniel, Matthew, Revelation); but also in Islam (the Hadith-sayings of Mohammed), Hinduism (Shiva will destroy the world), some forms of Buddhism, the Baha'i faith (more 'symbolic' eschatology some say, than in other religions), Zoroatrianism (molten metal will flow across the earth like a river). 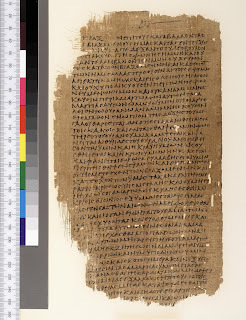 The earliest known example of a Jewish Apocalypse is the Book of Daniel (middle 200s B.C.). 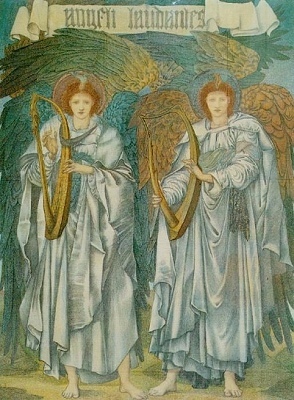 Some researchers state that at least a part of the Book of Enoch came before the Book of Daniel). The 'end' in early Jewish tradition would be announced by great portents, and convulsions of nature, 'signs' on the earth and in the heavens. Generally, the idea was that the surrounding nations would be overcome, allowing the Hebrew people to rise to the occasion. 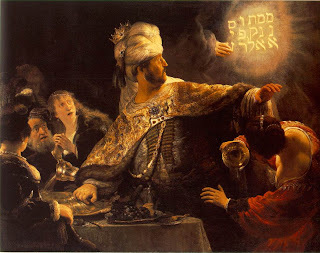 The idiom the '(hand) writing on the wall', is a portent of doom or misfortune, a saying which derives Book of Daniel (chapter 5) in which the fingers of a supernatural hand write a mysterious message in the presence of Belshazaar, king of Babylon. The writing foretells the demise of the Babylonian Empire. The phrase 'the writing is on the wall' is now a popular idiom for 'something bad is about to happen'. The 'end of the world', the apocalypse' have all been used in association with this phrase in Christian eschatology prophecy. 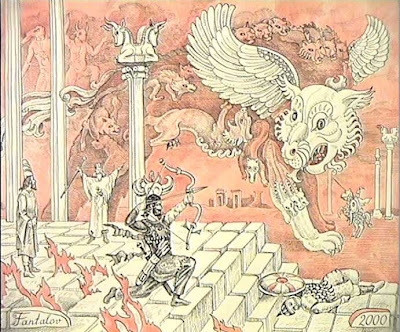 The Muslim view of apocalypse is likely derived primarily from the Book of Daniel and the Book of Revelation (although Daniel is not mentioned in the Koran). In Jean-Pierre Filiu's 2011 book 'Apocalypse in Islam', he describes the fast-growing belief in Muslim countries that the end of the world is at hand--and with it the 'Great Battle' prophesied by both Sunni and Shi'ite tradition, which many believers expect will begin in the Afghan-Pakistani borderlands. According to the Hadith, a collection of the sayings of Muhammad, the end of the world will begin with the arrival of the Mahdi (see post: Invisible/Hidden Gods) who will become Caliph, destroy the Anti-Christ and bring in peace and justice. In Hinduism, time is cyclic, consisting of cycles ('Kalpas'), repeating infinitely. A true 'end time' as seen in other religious beliefs does not exists as such. However, Kalpa (and its sub cycles) has its own start and end. One Kalpa lasts 8.64 billion years. Traditional prophecies, as described in the Puranas and several other sacred Hindu texts, say that the world shall fall into chaos and degradation. 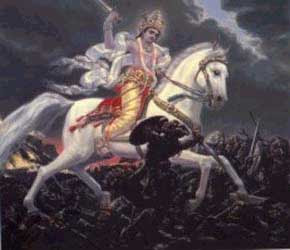 Apocalypse for the Hindu is the natural ending of the world in the fourth age, the Kali Age. 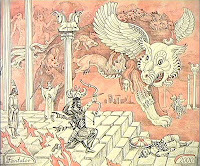 It is one of a series of apocalypses, each of which marks the end of one cycle and the beginning of another creation. It is said that Vishnu will appear again soon, as Kalki, a white horse, destined to destroy the present world and to take humanity to a different, higher plane. There are four yugs, or ages, in this process from complete purity to complete impurity. The final is Kali Yuga (the Dark Age), where civilization becomes spiritually degraded, human lives are shortened by violence and disease, and there is a general state of decay in nature. This is the worst period before complete destruction which is then followed by a golden age. Besides 'molten metal that will flow across the earth like a river', Zoroastrian sacred texts tell the story of apocalypse, a tale of a terrible winter and a time when all wolves will meet together and will merge into one vast wolf (Frashegird). All snakes also will merge into one vast serpent (see post: The Serpent). In the New World, the Hopi believed that Sotuknang destroyed the 'first world' by 'opening up the volcanoes'. 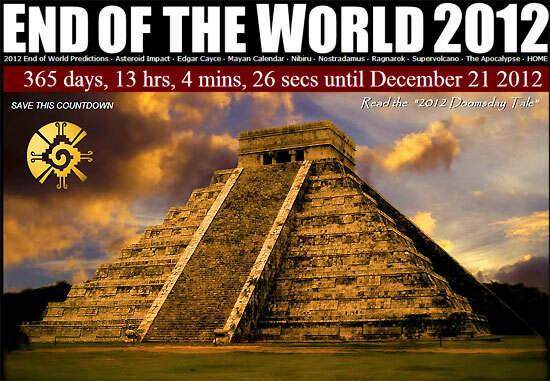 The Maya of Mesoamerica (depending on what you read), predicted that The End of the World (or perhaps just a new beginning?) would occur in December 2012. It didn't happen. All of these teachings are perhaps more metaphorical than real. Whether you believe any one of them may not be important when you consider 'Scientific Eschatology' - comet impacts, extreme volcanic eruptions, coronal mass ejections (CMEs ie severe solar storms)...see post: The Carrington Event.